Towards that end, in consultation with members the Open Referral initiative, AIRS has recently decided to adopt a new license for the 2016 edition of the style guide: Creative Commons 4.0 By-Attribution. Creative Commons licenses are designed to facilitate the sharing of information that’s intended to be freely re-usable in various contexts. Most people and organizations don’t have teams of lawyers with which they can sort out the various questions pertaining to fair use of copyrighted content, so Creative Commons makes it easy: CC content is free for anyone to reuse, yet various CC licenses do include assorted clauses which can establish the limits of such freedom. AIRS has selected only the ‘By Attribution’ clause, because they want anyone to feel free to use and even adapt the content that has emerged from their own communities. 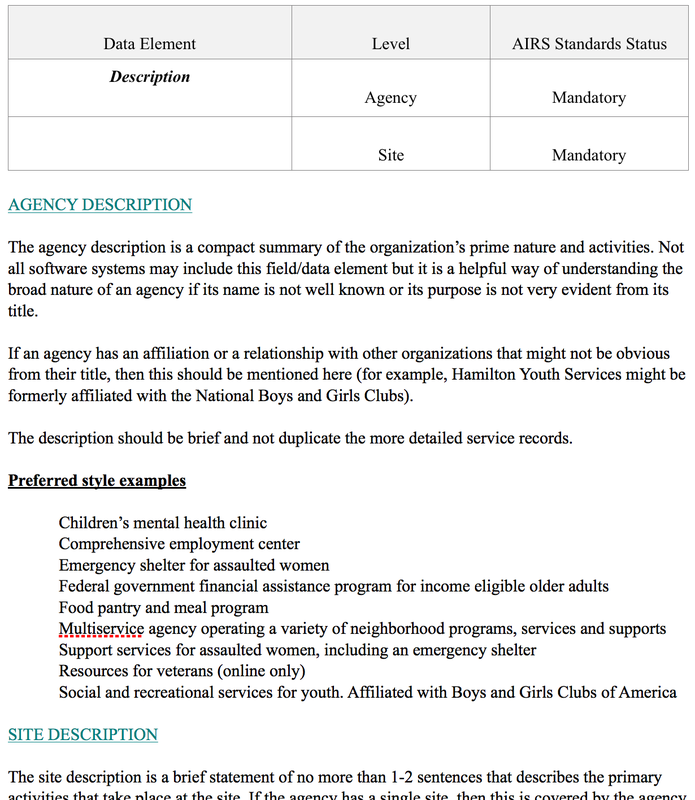 This permissive license acknowledges the reality that different organizations may have differing preferences with regards to style, so the Style Guide should be freely adaptable to various contexts. There is clearly a lot of opportunity for Creative Commons and other open source mechanisms to facilitate the free flow of information across communities with shared objectives of serving people in need. AIRS is happy to answer any questions that users might have about the content of the guide. And we in the Open Referral community look forward to taking future steps with AIRS and their members in that direction in the near future! Blog airs, creative commons. permalink.